Symmes Corner: Located in Fairfield Township, Symmes Corner was once a thriving community. 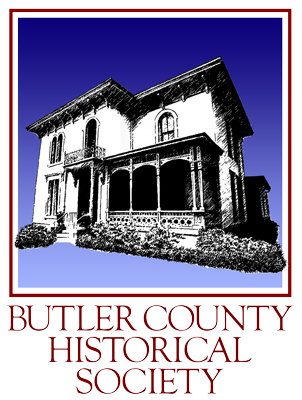 Meet its residents and learn about their place in the history of Butler County. The Golden Age of the Carriage Industry: In the late 1800’s, the Greater Cincinnati area was the leading manufacturing center for the carriage industry in the country. Henry Ford wanted to build his automobile manufacturing headquarters here because of the skilled carriage makers that called Greater Cincinnati home. Learn more about this industry and why it excelled in our region. Stockton/Jones Station: In the Southeast corner of Butler County, which is now the city of Fairfield, was an area previously known as Stockton or Jones Station. Take a walk down memory lane and meet the former residents of this area. The White Water Shakers of Butler and Hamilton Counties: In the past, a large Shaker community was located on the line between Butler and Hamilton Counties. Learn more about what made this Shaker community unique, and explore the structures that still exist today in Hamilton County. How Well Do You Know Ohio? : We all know that Ohio has an official tree and animal, but did you know we have an official reptile and an official groundhog? Find out how much you know about Ohio as we explore all of the state’s symbols. Railroad Stations of the Tri-State Area: During the golden age of railroads, there were many stations throughout the tri-state area that are only a memory today. This talk will explore many of those stations and their stories.